The negative impact of the BREXIT vote on the our healthcare system was brought into sharp focus by a recent policy statement issued by the Institute of Public Policy Research (IPPR) which states quite unequivocally that without the 57,000 EU healthcare staff that are currently employed by Hospitals throughout the NHS the NHS would collapse. At the moment there is considerable uncertainty about the eventual outcome of the BREXIT negotiations and the ensuing impact on the EU nationals living and working in the UK and the UK citizens living and working throughout Europe among other immigration issues. The report which was issued a few days ago urges the need for a range of Immigration concessions which are critical to ensuring the health and welfare of millions of UK patients including private patients. The NHS has become increasingly reliant on EU healthcare staff to keep it running and it now makes up 5.3 % of the total staffing. That includes over 7,000 who are working as consultants or specialist registrars as well as 25,000 who work as part of the Primary Care sector. 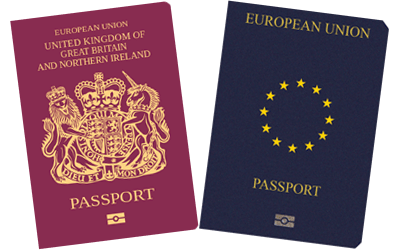 1) Hospital HR departments should contract with law firms that specialize in immigration law and they should encourage their EU staff to take the opportunity to apply for UK citizenship asap. (in the majority of cases EU Staff would be eligible for citizenship) This should initially be operated through the hospital. 2) The application fee £1200 should in some cases be waived and where necessary additional incentives should be offered to safeguard retaining critical staff members. 3) Hospitals should also include extra training bonuses for EU/Overseas staff allowing them to become fully integrated into the NHS ethos. 4) Hospital Directors should work with PR agencies in order to encourage the introduction of fast-track citizenship for essential workers and to introduce student type loan platforms to cover costs associated with coming to work in the UK. 5) Hospitals should be urged to take an independent line on this, in the same way that they run their recruitment campaigns. Waiting for a concerted NHS Plan may, judging from past initiatives, to be too little and probably too late. The Hospitals that will survive this and emerge stronger more efficient and more effective will be the ones that created their own solutions. One issue that seems so obvious and yet has not been addressed in any of the articles is that Hospitals that take the initiative will be in a better position to retain existing healthcare staff while attracting other healthcare workers in other organisations that are waiting for a united plan.